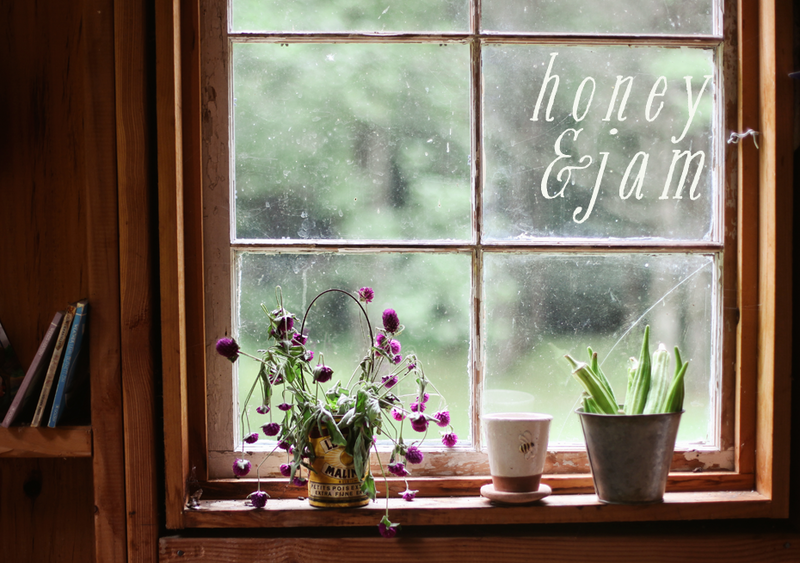 honey & jam | recipes + photos: A Maple Disappointment. A couple of months ago, a man from Brien’s Fine Maple Products contacted me and asked if I’d like to try some of their stuff - for free! So of course I said yes! Then, when it came in the mail a couple of weeks ago, it sat on the counter for a while, I just wasn’t inspired. Then yesterday I had, what seemed at the time to be a brilliant idea. 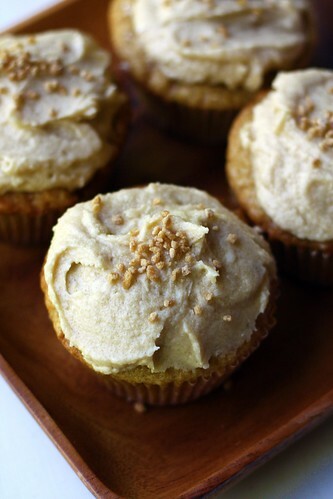 Maple cupcakes! They’d be so cute. one of the bottles they sent me. 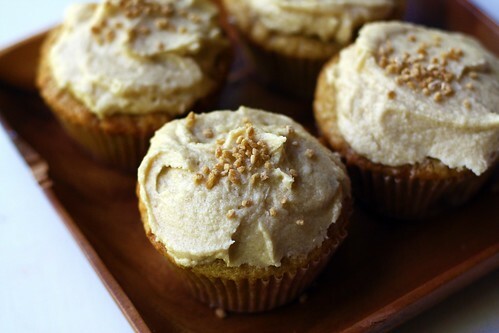 So I found recipes online for the cupcakes and maple frosting, then started on my way. I had a bad feeling as soon as I started putting the ingredients together. They just weren’t coming together as they should. I groaned as I put my whole bottle of syrup into the batter, I was sure they weren’t going to come out right. Then, while they were in the oven, I started on the frosting. I had an even worse feeling about it. There was just too much sugar in it. I tried some off the beater, it just tasted like sugar. You couldn’t even taste the maple. 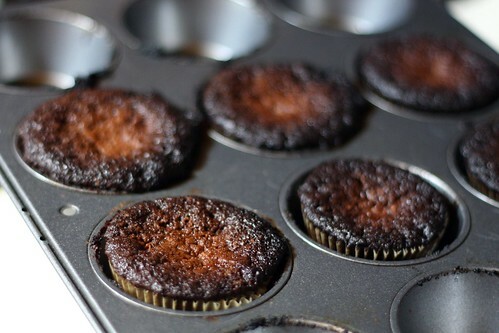 So when the cupcakes came out of the oven, I tried one without the frosting. It was alright. Just too sweet. Then I put the frosting on. SO BAD! Gah, it was like a diabetics worst nightmare. It didn’t taste of maple at all. So, a big disappointment all around. Although, the syrup was delicious on it’s own. If you want some really good Canadian maple syrup, I’d totally recommend Brien’s. They also sent me some maple sugar, hopefully I’ll be more successful with that. Que Sera Sera! P.S. It’s not a good idea to leave your second batch in the oven for 2 + hours. They come out looking like this. Here’s the recipe for the cupcakes, just incase you want it. 1. Heat oven to 350 degrees F. Sift together the flour, baking powder, baking soda, salt, and ginger. Set aside. 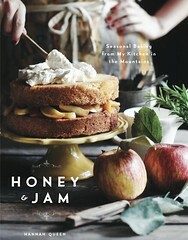 Beat the butter and sugar together using a mixer set on medium speed in a large bowl until fluffy. Beat in the eggs, syrup, and vanilla. Stir in flour mixture by thirds, alternating with the buttermilk. Stir in nuts. Fill 18 lined muffin cups and bake until a tester comes out clean, about 20 minutes. Cool completely. They look pretty at least! Maple as a sweetener in desserts can be tricky as it is soooo sweet, and you tend to have to use a lot of it to get the flavor to shine through the rest of the ingredients. 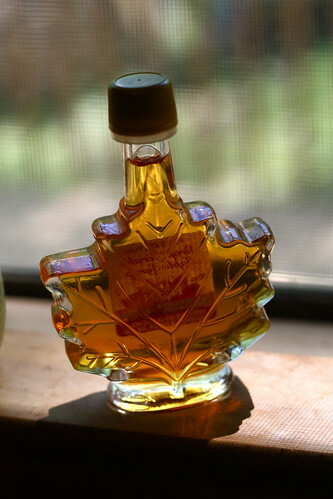 Maple extract is a better way to get the maple effect, though use a natural one, as the fake ones taste really fake. hi! i love you blog, thanks for all the ideas! i was just wondering what kind of camera your using? thanks! Charity: I was going to add some maple extract, but I just didn't have any. Since I had the free syrup, I decided to just use it! Ciara: I use a canon digital rebel xsi. I love it! Kudos for making them look so good and now I know that you are human after all. they do look yummy though! Aw, man! Bummer! They were cute! Hope you have better luck with the maple sugar! Hahaha how'd you manage to leave cupcakes in the oven w/o smelling them????? hahah, well. I had turned the oven down after a while, because I was letting bread rise and needed the heat, but not so much. Why do some of the grossest things look the prettiest? It is a real mystery to me. Beautiful phtoos! Oh, rats. At least they looked pretty! It's too bad you had to go through all that effort for a less than perfect result! :( But yes, at least they look pretty Hannah! :) I would totally leave something in the oven that long, heh. Stunning photos! !